4 Novembre 1966 - FLORENCE LIVE! 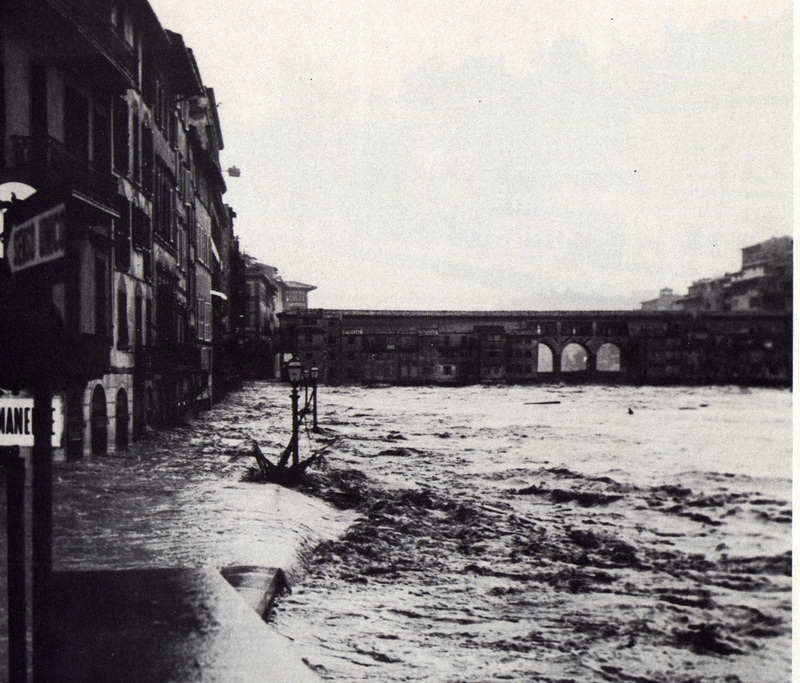 It was 4 November 1966: after 2 days of intense and the river continues rain Arno breaks off the banks to the 5,30 and overflows Florence. At first the road overflows, then the level of the water knows them always more until arriving to Association of Bologna of the houses. The water enters in the Baptistry, to old Palace, in the Dome provoking great damages to the most numerous works of art. Very many persons die, the artistic patrimony (over the old bridge) are threatened from waters. 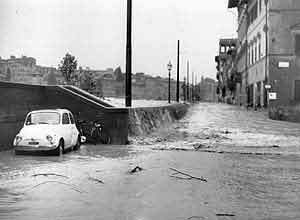 The arno 2 days lascerà the roads of Florence after, 6 November leaving the city in one catastrophic situation. The bread, the electric power lacked, people did not have more one house: the water had caught up the 4 meters and 92 centimeters (in the photo next one seen of Florence during the alluvium). 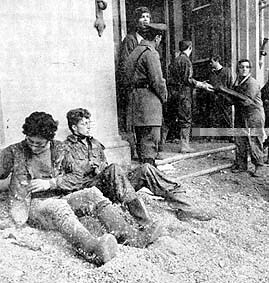 Florence enters therefore in its more ugly period of the post-war period. Fortunately with the aid of volunteers and aids come from all Italy Florence not a lot returned to normality in a period of time along and still today we can admire it in all its splendor. Today unfortunately the danger alluvium is still alive and the competent authorities have programmed of the resolutive participations to put into effect themselves in the next few years.